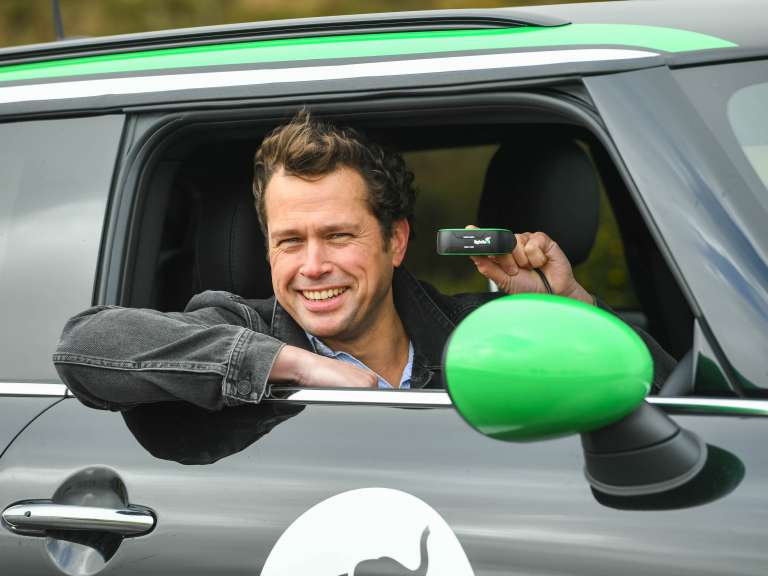 Exeter, April 23rd, 2018 - Lightfoot, the connected car technology company that rewards better drivers, today announces that it is the first recipient of a £1 million Innovation Loan from Innovate UK, the government’s innovation agency. Lightfoot will use the loan to develop its technology and driver rewards platform towards a consumer launch later this year. Often described as ‘the Fitbit for cars’, Lightfoot is a device that helps users maintain a smoother driving style, enabling them to stay within the engine’s efficiency sweet spot. Lightfoot also incentivises drivers by offering them access to an exclusive rewards platform which provides a range of discounts, perks and giveaways via its mobile app. By warning drivers in real-time when they stray outside of this sweet spot, the device increases fuel efficiency, reduces fuel costs and mitigates environmental impact. The loan award springs from Innovate UK’s two-year Innovation Loans programme pilot, which enables innovative companies to apply for low interest loans on a competitive basis to scale up their proven new technologies and business models. The programme supports innovation across the UK by broadening the range of financial support available to fast-growing, pioneering businesses, so they can access funding at all stages of their development. A total of up to £50 million is available for business innovation projects and full information on how to apply can be found on the Innovate UK website. The loan will be used by Lightfoot to further develop its connected car technology before being launched to consumers in Autumn 2018. The consumer launch will see Lightfoot users offered a wider range of functionality. This will include superior intelligence about the car including tax records, service alerts, vehicle valuations, mileage reporting and vehicle health alerts. The company has previously received a three-year grant from Innovate UK, which was extended as part of the UK government’s ongoing efforts to invest in autonomous and connected vehicle technology. Lightfoot CEO Mark Roberts, said, “We’re proud to be the first recipient of an Innovate UK Innovation Loan and it comes at a hugely exciting period of growth and expansion for the company. Lightfoot has already proven to be a huge success in the UK fleet market and this loan will help us launch the consumer proposition, scale the business and enter new countries. Lightfoot is already a leading name in the fleet sector where its technology and driver rewards platform has helped fleets reduce fuel consumption, improve accident rates and reduce environmental impact. Insurance companies are also recording substantial reductions in accident rates and claims value among drivers that use Lightfoot. Lightfoot’s discrete dashboard connects to the vehicle’s engine via its on-board diagnostics (OBD) port, constantly monitoring engine stress, driver input and mechanical input using Formula 1-style analytics. It then provides drivers with feedback based on driver performance, which is visible on the mobile app. The company will move to new purpose-built premises in Exeter later this year after its workforce recently doubled. Revenues have also doubled in the past twelve months, with 100 percent growth also expected next year.